Perfect soup for those wanting to give their immune system a boost. Heat oil. Cook ginger, garlic and onion until soft. Add carrots, and stock and simmer, partially covered for 45 minutes or until tender. Remove from heat. Place mixture in food processor and blend until smooth. Ladle into a serving bowl and serve with sour cream. A beautiful soup recipe, thanks. So delicious and healthy. Will try this now. Looks so easy to make and a great way to use the carrot crop. Yum, carrot and ginger, such a classic combo. I like carrot and parsnip together too, I wonder if I can add some parsnips to thus recipe? I’m on here looking for something different to have for dinner, this evening. A soup sounds good to me! Might serve it with some garlic bread. I haven’t tried carrot soup. This recipe looks really good. Will give it a go. Thanks. Delicious! You could also add 1/2 tsp of turmeric to boost the immunity factor for this soup. I love carrot soups. My favourite one is carrot and almonds. 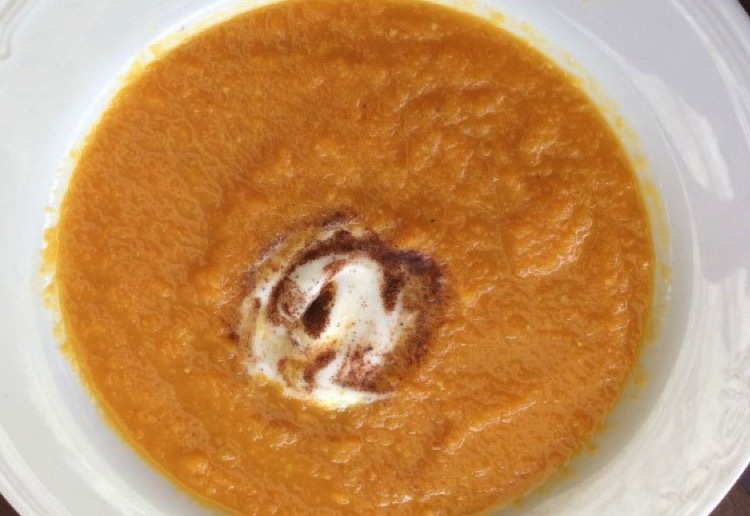 A delicious looking and sounding soup – big fan of eating ginger, tastes so good. Ginger has so many good nutritional properties. A healthy and delicious soup,look’s fantastic!